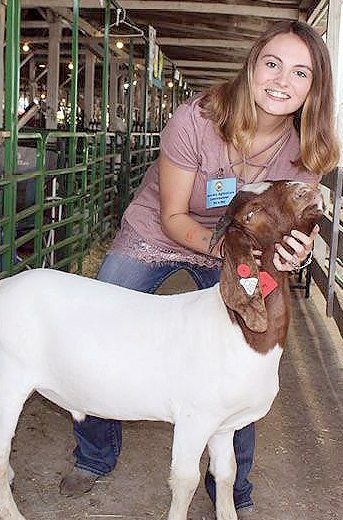 Submitted photo Emily Yates, 15, from East Hardy High School, serves as an honorary commissioner of agriculture during the West Virginia State Fair. Yates and five other students were selected as part of the contest. 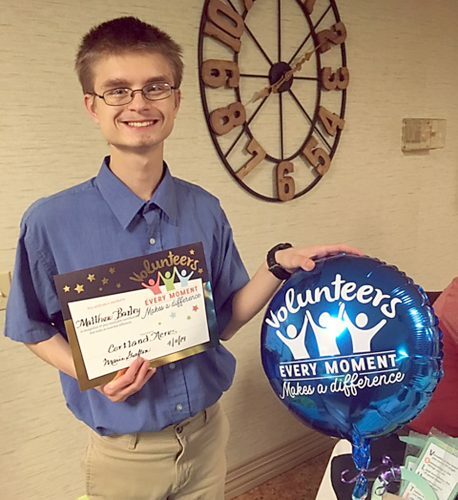 CHARLESTON — Six students, ranging in age from 9 to 16, are serving as honorary commissioners of agriculture during the State Fair of West Virginia, taking place through Aug. 19. The West Virginia Department of Agriculture sponsored the contest with the theme “Local Food: Why It Matters.” Each student entered an essay, video or photo presentation explaining the importance of locally grown food and how it impacts the state’s economy, environment and health. The winners will spend a day with Leonhardt and WVDA staff. They’ll sit in on meetings and events, take a behind-the-scenes tour of the fair and will be featured in the September issue of the Market Bulletin. • Sophie Slack, 13, of Hurricane Middle School, Putnam County. Slack loves to garden. She grows vegetables as well as flowers and aloe and loves to share her harvest with others. She attends the West Virginia University Extension Service Camp. • Maeva Robinson, 9, of Rainelle Elementary, Greenbrier County. Robinson knows what it means to put in a hard day’s work. She spends a few days a week after school working in the Rainelle Elementary high tunnel. Her parents built her a greenhouse at home to extend the planting season. She spends her summers working at the farmers’ market. “Locally grown food matters because it builds the community and supports a clean environment,” she said. • Elizabeth Ours, 16, of Petersburg High School, Grant County. Ours loves animals. She is a member of FFA and shows livestock at the Grant County Fair. She is a past winner of the Regional Creed and Public Speaking Contests for FFA. Her Supervised Agricultural Experience with FFA includes pigs, strawberries, an aquaponics project and working in greenhouses. • Emily Yates, 15, of East Hardy High School, Hardy County. Yates is a seasoned pro on the farm. She raises bulls, heifers, hogs, sheep and goats, which she will be selling at this year’s State Fair. She also grows corn, strawberries and green beans on the farm. • Julianna Rexroad, 13, of Braxton County High School, Braxton County. Rexroad participated in the 4-H heifer project. She showed her registered Limousin heifer at Junior Nationals. She likes working with her grandfather on his 300-acre farm. • Devin Price, 14, of Weir High School, Hancock County. Price has grown up on two family farms, one in Doddridge County, the other in the Eastern Panhandle. His favorite thing on the farm is tractors, and has been researching them since he was little. He grows beans, tomatoes and peppers in his garden. “Local food provides good, sustainable jobs for many members of the community,” Price said. More information about the WVDA Honorary Agriculture Commissioner for a Day Contest is available by contacting WVDA Communications Director Crescent Gallagher at 304-558-3708 or cgallagher@wvda.us.